There were only small changes for 1970 and 21,432 were sold. The vinyl roof was made standard, windshield wipers were now concealed, and the wheel covers were redesigned. LINCOLN MARK III. Mark III was based on the fourth generation Lincoln Continental (1961-1969). AT BLUE KITTENS OEM USED AUTO PARTS We disassemble a used car discard any junk parts and salvage the good parts. 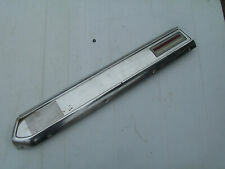 OEM USED ORIGINAL LINCOLN TRIM PANEL FORD PART NU7MBER D7VB 532472 , D7VB 537472. ASHTRAY IS DIRTY HAS BEEN USED -. AT BLUE KITTENS OEM USED AUTO PARTS We disassemble a used car discard any junk parts and salvage the good parts. 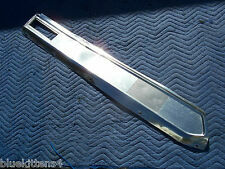 OEM USED ORIGINAL LINCOLN TRIM PANEL FORD PART NU7MBER D7VB 532747. LEFT REAR DOOR PANEL. There were only small changes for 1970 and 21,432 were sold. The vinyl roof was made standard, windshield wipers were now concealed, and the wheel covers were redesigned. INSIDE TRIM MOLDING PANEL & LIGHT. INSIDE TRIM MOLDING PANEL. There were only small changes for 1970 and 21,432 were sold. The vinyl roof was made standard, windshield wipers were now concealed, and the wheel covers were redesigned. TRIM MOLDING PANEL. We disassemble a used car discard any junk parts and salvage the good parts. LINCOLN MARK III. Other Part Number DENTED. Surface Finish DENTED. FROM A1971 CONTINENTAL MARK III. LEFT DOOR INSIDE. DOOR TRIM PANEL. 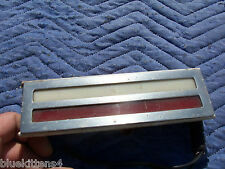 1977 1978 1979 LINCOLN CONTINENTAL MARK V. DRIVER SIDE TRIM PANEL. 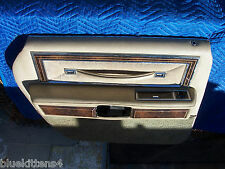 1977 1978 1979 LINCOLN MARK V. Trim Panel does have a few marks and wear as shown. 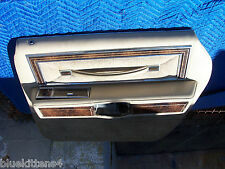 FROM A1978 LINCOLN MARK V. 1977 1978 1979 LINCOLN MARK V ( 5 ). AT BLUE KITTENS OEM USED AUTO PARTS We disassemble a used car discard any junk parts and salvage the good parts. 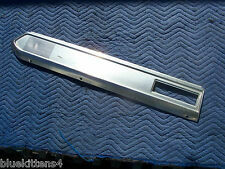 OEM USED ORIGINAL LINCOLN TRIM PANEL FORD PART NU7MBER D7VB 532389 0AA 0155. ASHTRAY IS DIRTY HAS BEEN USED -. Manufacturer Part Number 5423942. Make sure this part will fit your car: year, make and model. Used, in good condition.Will fit Lincoln LS 2000 2001 2002. Make/Model: Lincoln LS.